Welcome to Tampa Custom Kitchen Remodeling Pros! Kitchen remodeling and designing is not something easy and everybody’s job. You need to have some in depth knowledge and skills to remodel your kitchen. But if you have no expertise in remodeling and you need help then you have come to the right place. We at Tampa Custom Kitchen Remodeling Pros make sure that you get best results. We all know that kitchen is the most important and beautiful part of any house. We all sit with our family members for meals and conversation. At Tampa Custom Kitchen Remodeling Pros we have seen how a newly remodeled kitchen can give you a fresh start and it can bring families closer together and make their daily lives more enjoyable. This is why you should hire someone who knows their job and can make your kitchen look fresh and beautiful again. We help many Tampa residents everyday to give a new look to their kitchen. We are the best Kitchen remodeling contractors in the Tampa Fl. We have a long list of satisfied customers who have used our services and they are satisfied with the results. When you are hiring Kitchen remodelers you can’t just pick any company. You should check all the details and information about the. Experience, value, and service are important for any kitchen remodeling contractor and Tampa Custom Kitchen Remodeling Pros have all this and many more skills to dream kitchen into a reality. Paint, Exotic Veneers and High Gloss Finishes. We are also able to help small home owner to get reasonable and space-saving layouts. So if you need anything with kitchen cabinets contact us right away and we will be able to help you with that. Who doesn’t love classic and traditional looks? We remodel traditional kitchens every month. Traditional doesn’t mean your kitchen will not be luxurious. 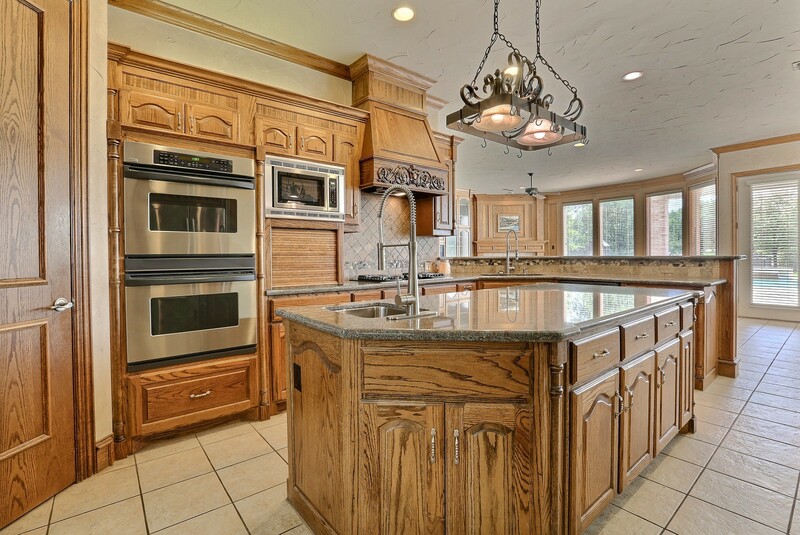 We have remodeled many traditional kitchens and we know how to combine luxurious and traditional look together. So if you need traditional kitchen remodeling then wait no more and get in touch with us today. We all love beautiful kitchen islands. But it is not easy to design kitchen islands at your own. You need to have someone who knows their job and they are experts in their field. We have helped many customers with their contemporary kitchens & kitchen islands and they are all very happy with the results. If you need contemporary kitchens & kitchen islands then get in touch with us and we would love to help you out. When it comes to countertops and surfaces there are many options that you can choose from. These include Marble, Corian, Quartz, Glass, Tile, Granite, Quartzite, Cambria, Caeser stone and Pompeii. Whatever countertops and surface you need we are always there to help you. We sit with you and discuss your thoughts and use our expertise to turn your dream kitchen into reality. If you ever feel stuck at some point and you don’t know how to design your kitchen then this is the right time to hire us. We have plenty of different ideas to give your kitchen a new and beautiful look. Luxury countertops have been in fashion from quite some time now. Many people love to get luxury countertops while remodeling their kitchen. But if they don’t hire the right company to do the remodeling then they can end up getting something else instead of luxury countertops. You should hire a company like us who have years of experience in the market and who know their job. We have professional staff to help you with each and every step to remodel and design your kitchen. Designing outdoor kitchens is not something that every body can do. You need to hire a company with skills and experience to help you with the design. 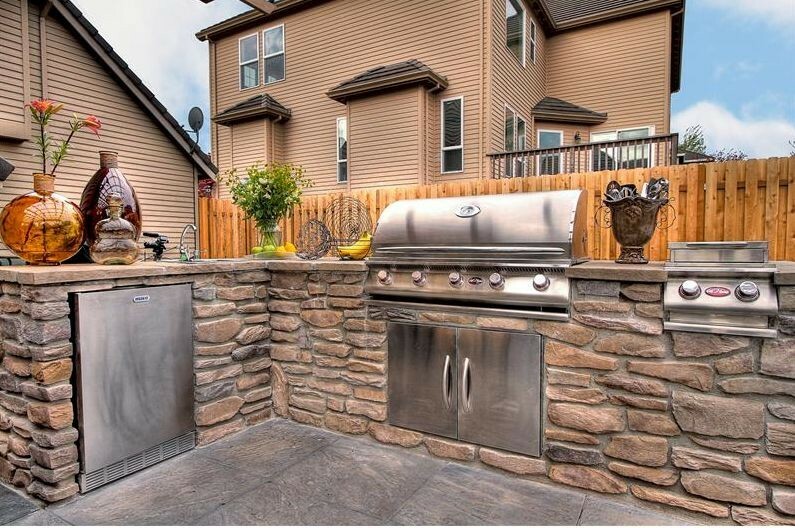 We can design your outdoor kitchens which can include Louver, Shaker, Slab, and your kitchen will be100% weatherproof. We provide Granite, Tumbled Marble, Glass, Glass tile, Metal tile, Stainless Steel, Subway Tile, Stone, Porcelain, and Travertine paneling. When building or remodeling a kitchen, granite is the most popular among many homeowners. It offers a unique stone look that is beautiful, giving your kitchen a stylish appearance. Granite contains little crystals that catch light, which changes the countertops’ appearance, giving each slab a unique look. In addition, granite requires little maintenance, thus an excellent choice for a cost-conscious homeowner. However, for granite to retain its original, stainless appearance, sealing it is necessary. A good granite sealer is not only necessary to keep your countertops clean, but it also lengthens your granite’s life. We use our expertise and ensure that the bottle of granite sealer that you are buying or using is water based. There are many mineral oil based sealers, such as lapidary sealer, which may confuse you since they are meant for products that are similar to granite. The granite floor acrylic coatings are for those really neglected and really severed granite floors. These coatings are really thick and they actually fill in and conceal cracks and crevices up to ¼ inch deep. They provide you with a slip-resistant finish that resists any future damages. There are many colors from which you may choose. You are safe from water, UV rays and mildew damages. The main difference between oil based sealer products and water based acrylic sealer products is that you clean your granite floor with only water and soup if you choose the water based acrylic sealer products, but if you choose the first ones you need to buy special product intended for the cleaning process. The water based products are also more eco friendly. People reflect their class through their lifestyle which demands them to follow the trend. Lifestyle, these days is not just restricted to apparels. Having a lavish Kitchen remodeled by a good remodelers is also a status symbol. If the current location of the house is perfect and one loves the neighbors and the positive vibes of the present house and most importantly the emotions attached to the home is the priority, the better idea is to work out something on the current land itself. The houses built on old architecture needs a makeover. 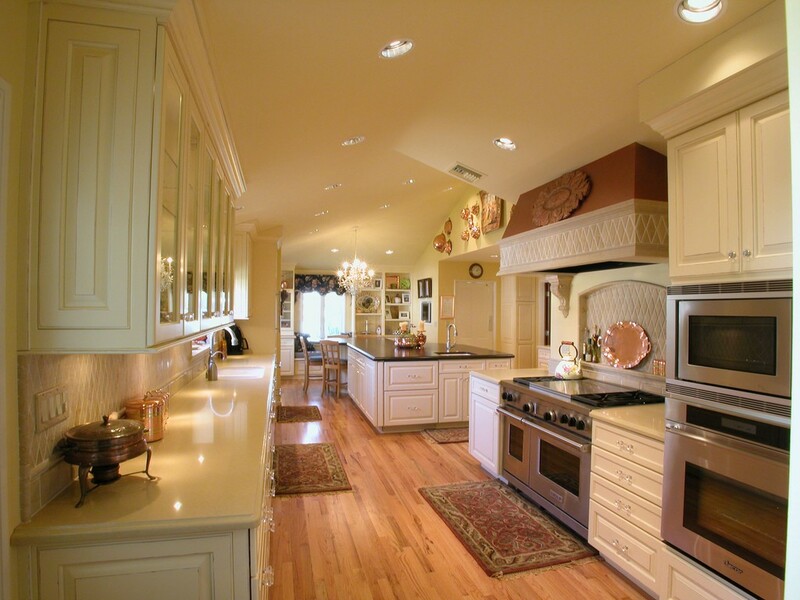 Another specialty of Tampa Custom Kitchen Remodeling Pros is kitchen remodeling. We can help you with Ceramic, Porcelain, Travertine, Marble, Limestone, Pavers, Slate, Wood, Coral Stone, Coquina Tile, Mexican Shell stone, Mexican Tile, Onyx, Stone floors and/or walls. Covering a concrete floor with the coating is the best way to maintain the concrete floor and make it last longer. I addition to that it can make your kitchen look beautiful. Applying coating can also give a new visual to the floor and the adjacent facility. It can provide safety for the occupants and visitors. In order to make surfaces slip resistant, sometimes different kind of materials are sprinkled over the coating, known as Flakes. After coating the surface area of 1-meter square stop and sprinkle flakes for ease and avoid stepping on the coating. 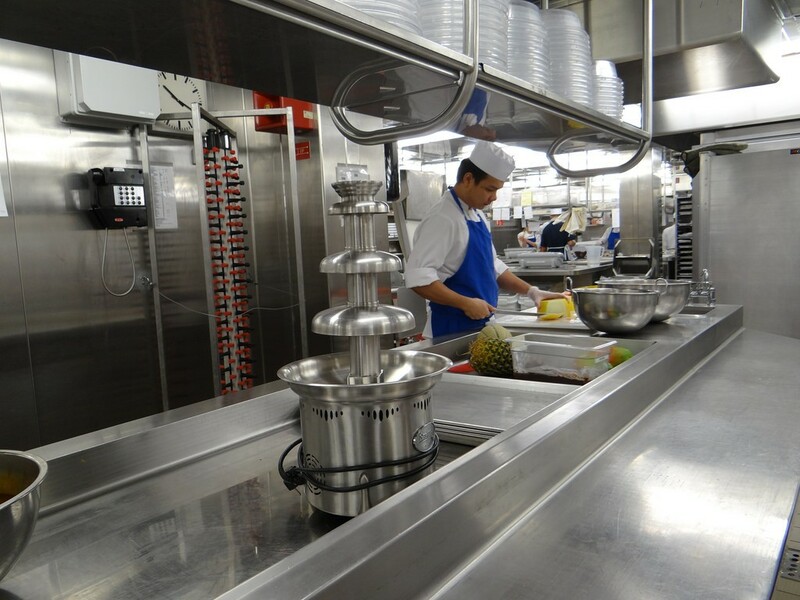 We know all the in depth stuff to make your kitchen safe and fresh again. You can’t do all this stuff at your own if you know little and nothing about flooring and kitchen remodeling. We understand the importance of high quality kitchen accessories. This is why we provide you with the best kitchen accessories to make your kitchen complete. We help with internal features that will maximize a new kitchen such as, Roll-Outs, Spice Drawers and Charging Stations. So, if you don’t know anything about the remodeling or beautiful and important kitchen accessories then this would be the good time to call us. We have many satisfied clients and we have been serving people tirelessly everyday from years. We provide special training to our staff to make them expert in Kitchen remodeling. For making a well-designed kitchen there are three basic needs to be completed in terms of lighting – Ambient, Accent, and Task. These three basic lighting in a step-by-step layer will form a successful design in terms of light which will illuminate the entire space in the kitchen. Ambient Lighting: The main aim of the ambient lighting is to provide an even tone to the kitchen with the help of overall lights around the kitchen and the natural light coming through doors and windows as well. This part of lighting is fulfilled mostly with the recessed lighting as well as the wall-mounted lighting which will help the overall ambient lighting. The recommended choice with the ambient lighting is to provide dimmers. This will help the customers to adjust their lighting according to their mood during the day as well as night. There can be multiple circuits added as well in a kitchen to adjust only some light to dim while keeping other light to shine brightly. Task Lighting: Task Lighting is an important aspect of lighting. This lighting will usually help the person to prepare food, cooking. 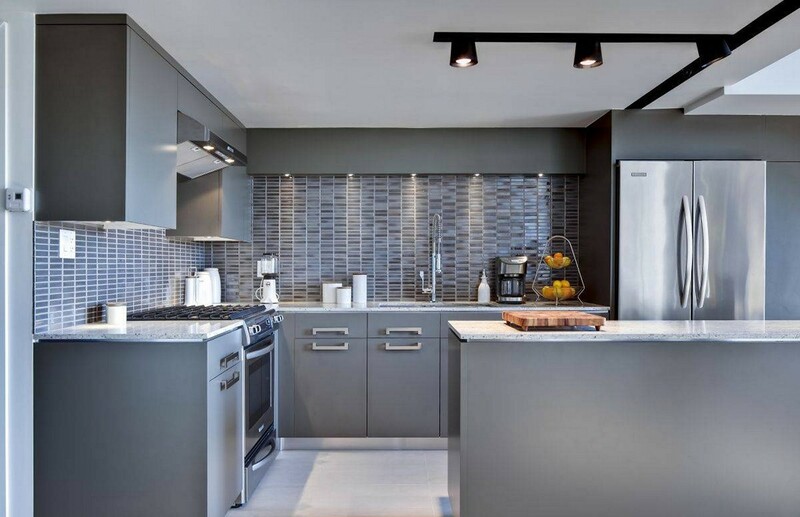 In the kitchen, there can be parallel lighting under the cabinet to brighten the cooking and food preparing areas. Matching lights with different sizes bring a more powerful character in the kitchen as well as providing a more layered lighting. 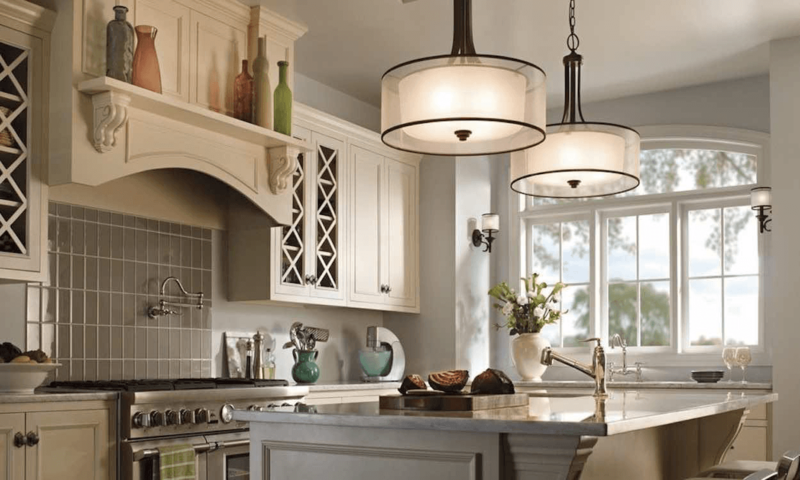 Accent Lighting: Accent lighting gives kitchen unique characteristics with adding visual attention to the kitchen. This is an important aspect of lighting design. Accent lighting highlights a particular part of a kitchen or any object like pictures, cabinets or shelves. This can also be used to enhance the textured wall design or other impressive architectural view. Simple of lighting or picture lighting can many times be used to provide accent lighting.